I reloaded my changes in a new rah_flat fork to keep the same files tree as Jukka and I added a support for Textpacks in the beta 2. In case you didn’t see it, I published a beta 3, adding a pref to choose which production status you want to use for auto template files upload. It can avoid, if set to Debug, to pollute your Testing Runtime. Any feedback before the final release? The official v.0.5.0 is now out. Enjoy! I’m not throwing shade on Gocom, but I seriously doubt he’s coming back. You don’t get as invested as he was with a project then vanish overnight with no courtesy word or sign of pulse — leaving many things and people hanging — with the possibility of coming back and picking up where you left off one day. He’s gone. Point being, I don’t think it’s so wrong to at least call your fork, oui_rah_flat (then it’s clear to those of us who want to migrate over what it is we’re installing and have installed), which still gives Gocom tribute while you’re clearly identified as maintainer of something new-ish. Odds are greater the code gets put into core than Gocom actually returns and picks up where he left off with Txp. Out of topic: I wonder sometimes if he died. Or does anyone know anything about him? He’s not dead, just doesn’t want to communicate with us. Obviously he had grand plans for Textpattern, then just vanished. Mark deleted his presence, which is what I would do if I wanted to check out. For me it would be easy, since I don’t Facebook or Twitter, one rm command at my VPS and I’m history. The only remnants of hcgtv would be on online forums, like this one. But I don’t plan on checking out, I’d rather pass the torch. We wish for your company for a long time come. I like your themes. i am going to install one locally with the new version of TxP just for the sheer joy of it all. ps is this “a real publication”? 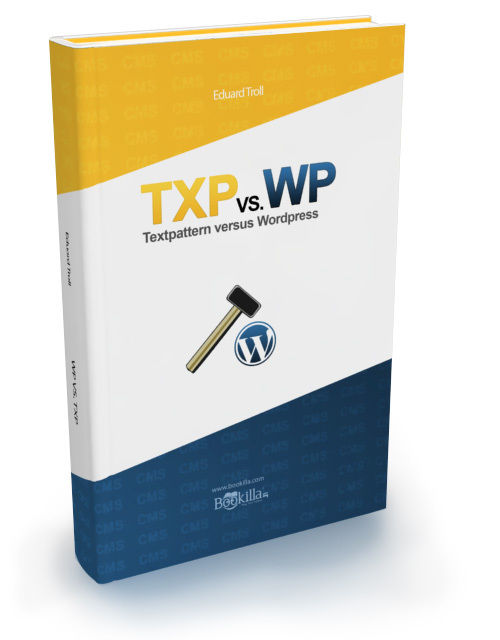 No it’s bogus, but I do intend on writing a book on WordPress vs Textpattern one day. Why one poorly written piece of software garnered so many users, while the elegant solution languished in obscurity. 10 years of notes and saved web pages grace my hard drive, it’s an interesting story.